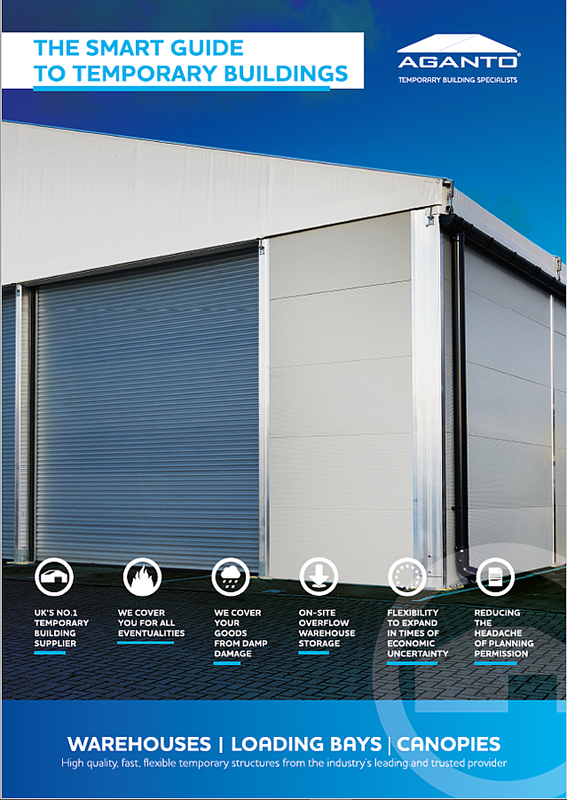 Whatever the reason you are looking at temporary buildings, you will no doubt have questions, from time constraints to weather protection and the impact on your business. ✓ What can a temporary building be used for? ✓ How long do they take to build? ✓ How can a temporary building benefit your business? ✓ How can planning permission affect temporary stuctures? Let us know your name and email address in this form to get your copy today. © 2017 Aganto Limited - Registered in England and Wales. Company No. 05995418.